Why did the photograph of a victim of the Syrian civil war, that of the young Aylan Kurdi, suddenly move the whole world, while the war had already cost the lives of many victims over the previous four years? I believe that studying images is fruitful in addressing the experience of exile. Following Hans Belting, this perspective supposes an anthropomorphism of images; in other words, that images are mediums of projection of social experiences. Through anthropomorphism, images can provide informal commemoration of previous exiles. Besides the analysis of behavioural sciences, looking at this picture from the perspective of the scholarship of art historian Aby Warburg, this image carries a potential charge as it connects to Western cultural heritage. For Jim Aulich, the photograph of Aylan Kurdi carried by the Turkish policeman ‘belongs to a complex typology of image’. Supposing that we understand the world with the help of images, the impact of this image can be explained through a specific iconographic reference. 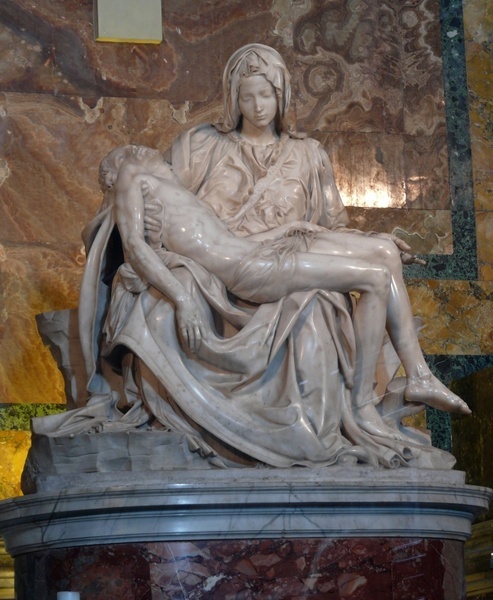 It implicitly refers to the Pietà, a Christian theme representing the Virgin Mary as she cries for the child she holds in her arms. This recognition process is described by Georges Didi-Huberman as anachronistic: the image being constituted by heterogeneous times. Its temporality is composed by both the historical and the anachronistic elements that run through it. Halfway between reminiscence and commemoration, what I would call ‘spontaneous commemoration’ makes it possible to remember an event or a person who has marked the Western imaginary. This photograph also commemorates other images carried by the collective unconscious, whether they have actually been seen or not. Within this common imaginary lies the image of the young Joachim Hirsch on board the MS St Louis who was refused permission to disembark in the US and was sent back to Germany in 1939. When looking at the image of Aylan, the photograph depicting Joachim fits subliminally in the collective unconscious. The rush of emotions triggered by the photograph of Aylan are reinforced by images of former toddlers who had experienced former exiles. Perceived below the level of consciousness, this image from the past creates a tragic filiation through time between the young boys. Put online in June 2017, the photograph of Joachim Hirsch was actually posted by the Twitter account ‘The St Louis Manifest’ accompanied by the hashtag #NeverAgain. In this extension, the photograph of Aylan appears within an historical continuum, bridging shattered innocence from past and present. The very purpose of commemoration should not only be to remember what happened, but, above all, to prevent its repetition. To be truly effective, commemorations act in the present, so that today’s young boys who are forced to flee abroad by boat are not condemned to the sea. Spontaneous commemorations reinforce the impact of images, constituting alert-signals to those who witness them. Elsa Gomis participated in the ‘Commemoration and Creativity’ Postgraduate Forum that took place at Oxford Brookes University on Saturday 10 March 2018.